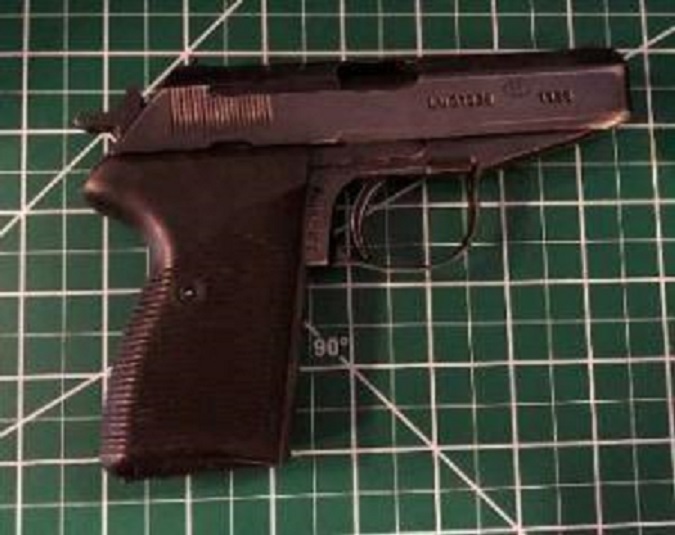 ARLINGTON, Va. – A local man was stopped by Transportation Security Administration officers Monday at the Ronald Reagan Washington National Airport after he tried to get through security with a loaded handgun. Metropolitan Washington Airports Authority police say the man was identified by authorities as Dustin Charles, 32, of Clearfield and he had a 9 mm handgun. It was loaded with nine bullets, which included one in the gun’s chamber. TSA officers spotted the weapon in the checkpoint’s x-ray machine, according to a press release issued by TSA. Metropolitan Washington Airports Authority police were contacted and arrived to seize the gun. Charles was cited on a state weapons charge and issued a summons. This gun catch marked the seventh seizure at the airport since the start of 2019 and the fifth in the past 12 days. Last year, officers caught 16 guns total at Reagan Airport. Last year, 4,239 guns were discovered in carry-on bags at checkpoints nationwide, averaging 11.6 per day, or approximately a 7 percent increase from the total of 3,957 detected in 2017. Eighty-six percent of guns detected at checkpoints last year were loaded and nearly 34 percent had a bullet in the chamber, the TSA release stated. People who bring guns to the checkpoint are subject to possible criminal charges. Even travelers with concealed firearm permits are not allowed to bring guns onto airplanes. In addition, TSA has the authority to assess civil penalties of up to $13,000 for weapons violations. A typical first offense for carrying a handgun into a checkpoint is $3,900. Wilson said travelers can fly with their firearms, and “the proper way to do so is to pack your unloaded gun in a locked, hard-sided case and then take it to your airline check-in counter. Wilson emphasized that: “Travelers should never try to bring their guns through a security checkpoint.” TSA has information on how to properly travel with a firearm posted on its Web site. Airlines may have additional requirements for traveling with firearms and ammunition. So, travelers should also contact their airline regarding firearm and ammunition carriage policies.